These are some of the best running shoes that we have experienced, which are trying to cater to differing user preferences, and are the ideal pics for this year’s marathon season. 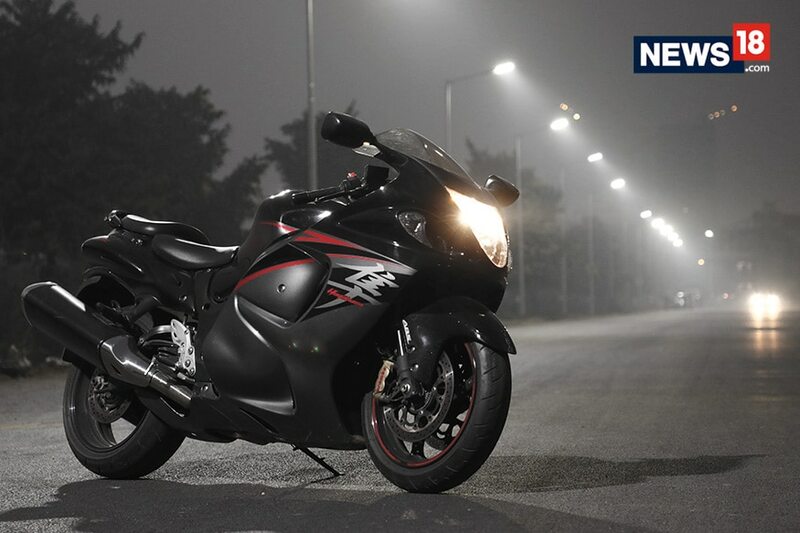 As we head into the winter months, there are numerous marathon events organized across India. A cursory glance at the events scheduled for the next few months, ticks off a rather hectic lineup of events in pretty much every region in the country. Be it Goa, Mumbai, Raithal, Bengaluru, Shillong, Kolkata, Lucknow, Chennai, Pune, Delhi, Gurgaon, Kochi, Damdama, Vapi, Jaipur, Madurai, Coorg and Rishikesh to name a few, there are marathon events scheduled everywhere. The events include 0.5K, 1K, 2K, 5K, Half marathons, Full Marathons, Ultra Marathons and so on. Motivation is just the start. You need the correct gear to go with it. But what really is the specific configuration for a marathon shoe? In reality, the running shoes that you use are exactly what you need for marathons. The ideal running shoe offers great cushioning for those long hours of wearing them, a responsive midsole for good amounts of feedback from the surface you are running on for more assurance while running, and also should be lightweight as well because you don’t want to lug heavy weights around as you try to clock the kilometers. Mid-sole cushioning is very important, since while running, the momentum means there is a lot more pressure on the cushioning beneath your foot—and it should be prepared for it. The upper construction should have enough ventilation to cool down the feet, and yet offer good flexibility too for foot movements. The outsole needs to be robust and should have enough grooves to offer traction even if the surface beneath your feet is changing or inconsistent. We look at the best running shoes that could hold you in good stead as you clock the kilometers. Simply put—this is a connected shoe. The embedded Record Sensor tracks your movement and sends the data to the Record Sensor app (free for Android and iOS) via Bluetooth. 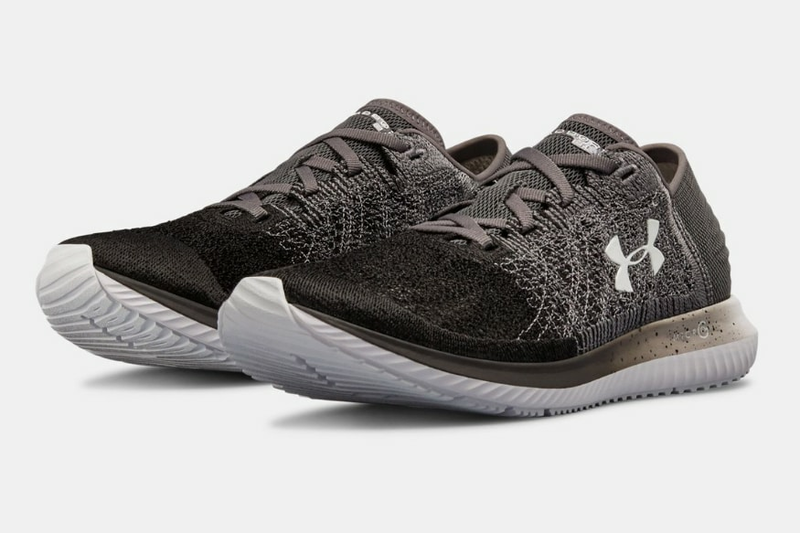 Under Armor uses what is known as the Adaptive ColdGear Reactor insulation for the upper, which keeps your feet warm even if the outside temperatures drop really low. This is a technology that has also been used by shoe makers such as Adidas. The upper of the HOVR is designed with materials that repel water, which means drops of water simply flow off and don’t block the ventilation or make the shoe soggy. 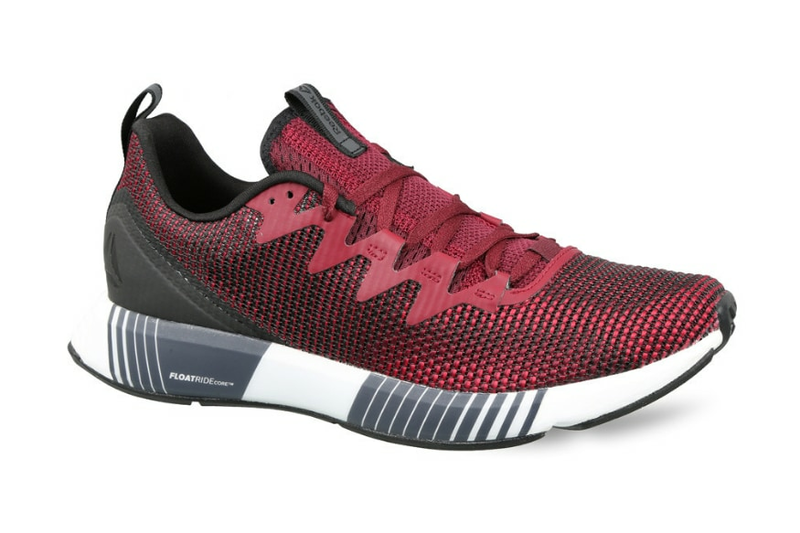 As the name suggests, this shoe uses what is known as the HOVR foam in the mid-sole—and it does well to balance comfort with enough rigidity that will provide some energy feedback as you run along. The rubber outsole is made with the technical expertise provided by tyre manufacturer Michelin. The learnings from Nike’s Breaking2 Project still steam in, and that can only be good news for us. The newest shoe to take inspiration from the marathon clock-beating project is the Zoom Fly Flyknit. 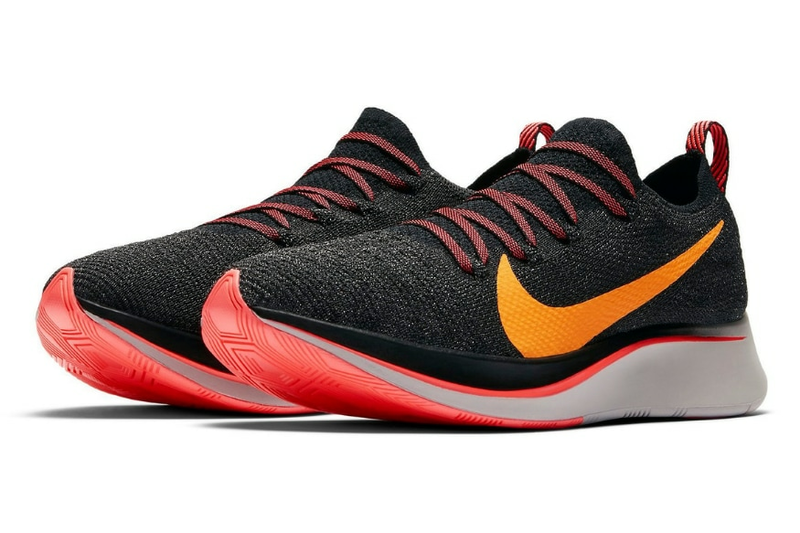 This succeeds last year’s Zoom Fly, and instead takes inspiration from the elusive and more expensive Vaporfly 4%. This has a full-length carbon fiber plate beneath your foot along with Nike’s excellent React foam. This means that it is a tad more rigid than the React Flyknit shoe, which makes this ideal for the feedback that some runners prefer. The knit upper available in Black/Orange Peel/Moon Particle/Flash Crimson and Pure Platinum/Diffused Blue/Football Grey/Blue Void colourways, allows for great ventilation. This is the best running shoe you can buy right now, and it does well to maintain the balance between performance and comfort. Reebok has used foot mapping technology extensively to design the Fusion Flexweave shoe. For starters, there is he Flexweave upper which is woven as a figure-of-8, to balance between the requirements of supporting and locking in the foot securely, and also allowing for required flex. This offers good ventilation too. Beneath your foot is the Floatride foam mid-sole, which offers great cushioning as you do regular walks and jogs, and kind of stiffens up a tad when you run to provide that extra feedback from the running surface and also offer some amount of energy response to help your foot propel forward. Reebok is offering this in two colourways, and while the dual-tone colours look good, our preference is the wine option. Asics has pretty much loaded the Dynamis to the brim with smart technology. 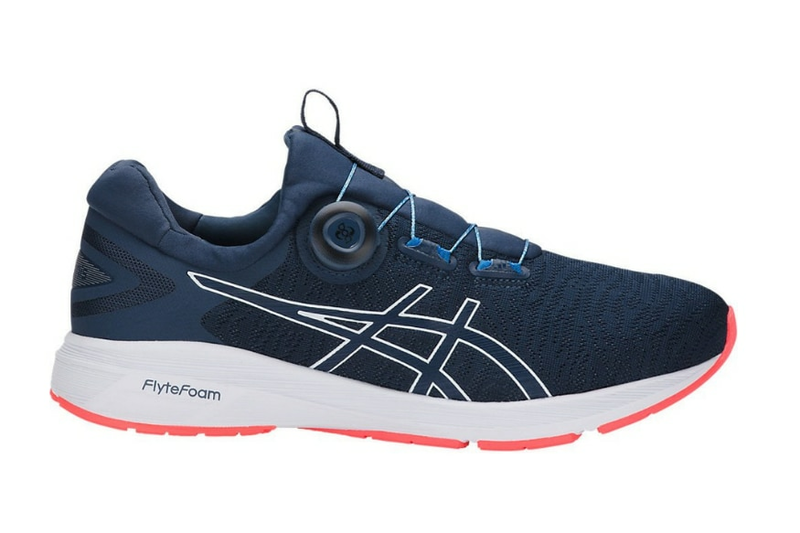 For starters, you will notice that there are no shoe-laces in the Dynamis, and instead Asics has deployed a dial-based adjustment mechanism called the Boa System. This takes some getting used to, but once that learning curve is dealt with, you really would loathe tying shoelaces again. This dial works very strong laces and can be tightened or loosened according to the dimensions of the foot. Under your foot sits the Flytefoam midsole which is made of organic fibers and is lighter than most midsole materials. That doesn’t mean it compromises on cushioning—also helped by the full length SpevaFoam 45 layer. New Balance has really upped the game with the M1080BB8—though we must note that the name is a mouthful and perhaps has been coined by an accountant rather than a running shoe enthusiast. That said, running enthusiasts probably took over in good time for the development of the M1080BB8. The shoe has a bootie-style construction, which should offer good amount of rigidity. 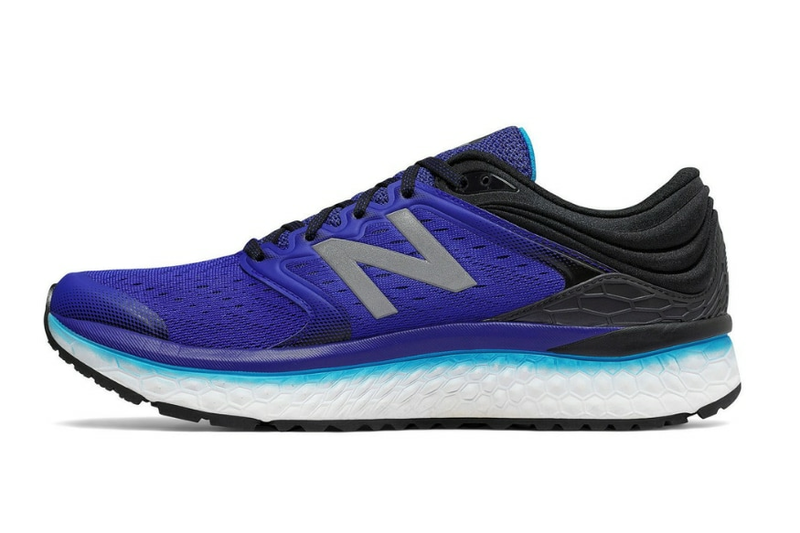 New Balance is using it’s FreshFoam mid-sole technology in the M1080BB8 as well, which offers great cushioning and doesn’t lose its bounce-back feel after a period of time. New Balance have redesigned the outsole, and the new configuration of the grooves should offer more grip, particularly during change of direction. Not the lightest running shoe, at 314 grams, but worth the extra support. The blue colourway looks good too. 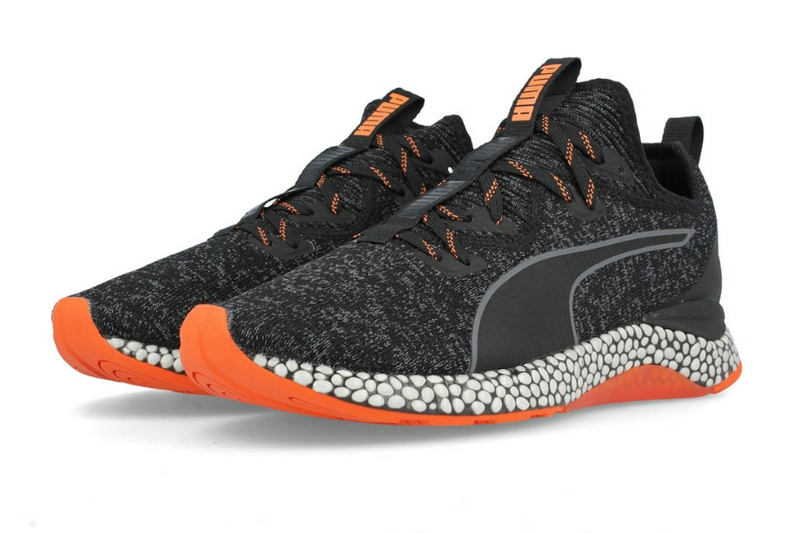 We had noted during our review of the Puma Hybrid Runner Unrest that when two different and distinct personalities are melded together, that entire exercise can result in something completely brilliant, or painfully atrocious. Mercifully, it is the former, in Puma’s case. Slip your foot in, and the very soft EvoKNIT upper fabric feels extremely comfortable. The shoe isn’t the lightest on the weighing scales (weighs around 314grams), but feels deceptively lightweight when you wear it. Puma have blend of two distinct materials—their proprietary Ignite foam and something called the NRGY beads. These beads are made of cushioned polyurethane foam, run the full length of the shoe, and provide extra cushioning. You’ll really notice the difference these make on a hard surface, as compared with just Ignite mid-sole Puma shoes. The black and red colourway is our favorite. It is immediately a positive start that the GoRun 6 is better looking than most of Skechers shoes off late. The upper gets a knit finish, which offers a snug sock-like fit and yet great ventilation. The shoe is light to wear, tipping the scales at 235g. 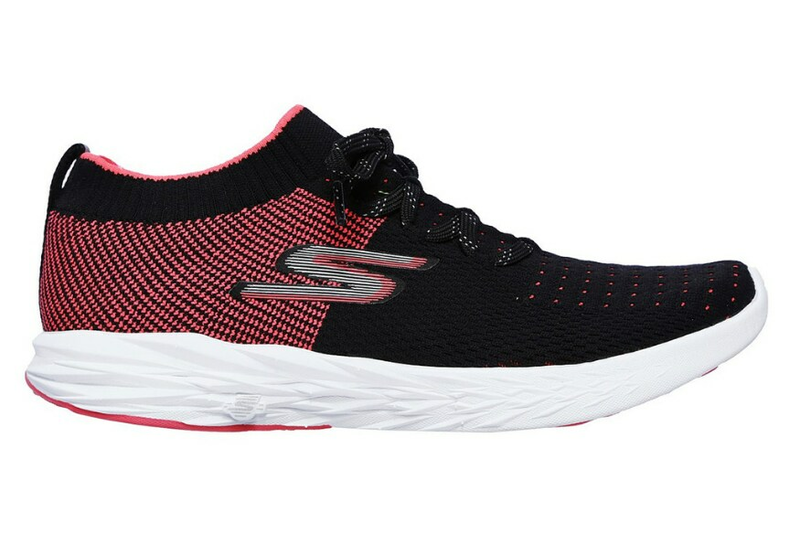 Skechers introduced the new FlightGEN midsole foam with the GoRun 6, and that puts it in good stead in the competition against Reebok (FloatRide), Puma (Ignite 2.0), New Balance (Fresh Foam) and DC (UniLite). The FlightGEN foam, which is more robust than its predecessor, with good cushioning and consistent responsiveness. In many ways, this feels on a par with New Balance’s Fresh Foam technology. The GoRun 6 shoe construction ensures adequate support around the ankle. The lacing loops are integrated into the knit, which will limit, in some ways, how much you can tighten them. The Threadborne Blur gets its name from the knit upper, which is called Threadborne. Knit uppers tend to offer a good sock-like lock-in feel as well as good amounts of flex for natural foot movements, and the Threadborne shouldn’t be any different. The interesting bit is that while most running shoes tend to be in the range of the 10mm heel-to-toe offset range (this is the difference in elevation from back to front), the Threadborne Blur is more neutral at 6mm—this could be relevant for a lot of runners who prefer a flatter positioning. Beneath your foot is the single piece SpeedForm midsole cushioning, which is designed for good feedback as you run along. Look at the outsole, and the unique design of the high abrasion rubber beneath the heel is designed to absorb and dissipate the sometimes-jarring effect you get on hard running surfaces. 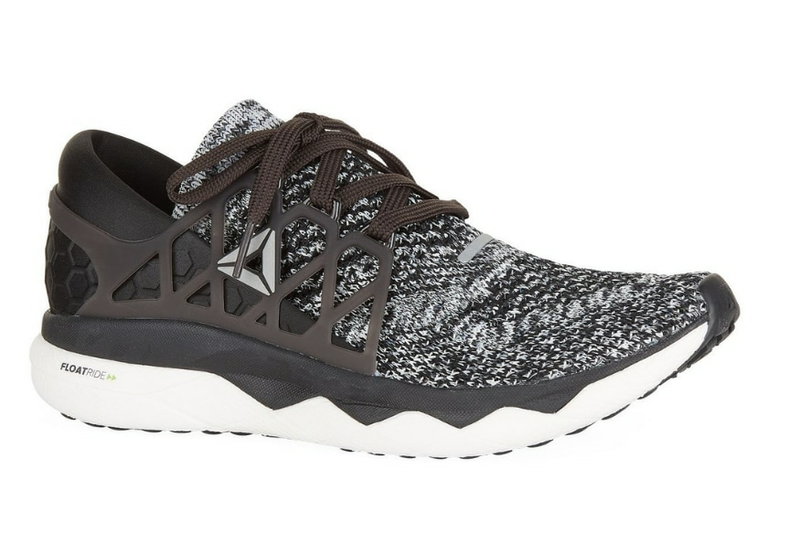 UA is offering the Threadborne Blur in five colourways, including black with gray. This is a running shoe that makes it intent very clear—it has a racing stripe running down its length. 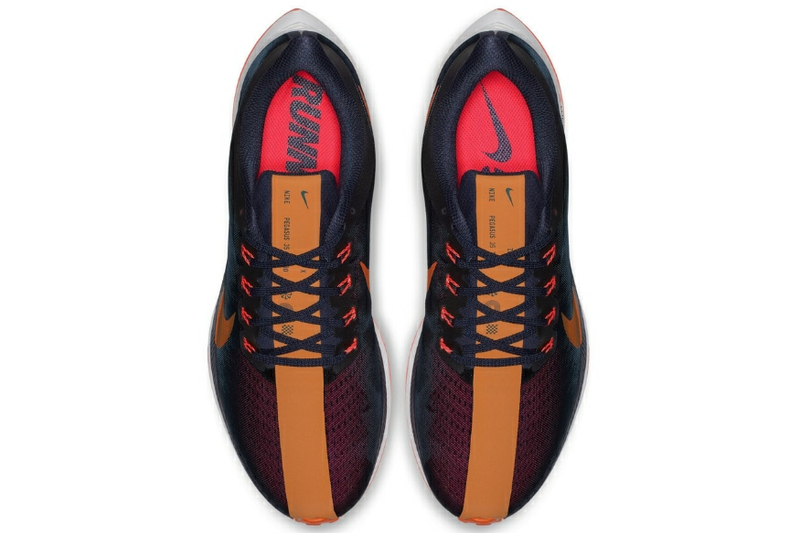 The midsole that consists of the ZoomX foam, made from what Nike says is the PEBA foam, and not the standard EVA foam lining that is common in running shoes. PEBA is a closed cell foam with a cross-linked architecture, and is based on a thermoplastic elastomer (TPE)—and gives it great bounce-back as you run along. The shoe weighs just 238 grams, and whichever way you look at it, is extremely lightweight. The upper of the Nike Air Zoom Pegasus Turbo is actually a two layer construction, consisting of a very breathable fabric a very fine mesh wrapped around it. It is a very close call between the Nike Zoom Fly Flyknit and this, with your personal preference probably casting the deciding vote. Reebok has completely thrown the design rulebook out of the window for the Floatride shoes. You cannot miss the 3D design heel cradle and a cage that wraps around your mid-foot and heel. This makes the shoe more robust, holds structure better, and secures your foot. The flipside is that the hard plastic cradle does sacrifice some suppleness. That said, the rest of the Ultraknit upper offers great breathability. Reebok has used the Floatride foam in the midsole. Your feet sit in great comfort, with consistent cushioning. Each foot landing and feedback from the running surface filter through, without the feet feeling any harshness. The Floatride Ultraknit tips the scales at just 233g, which is lighter than even the Zoom Pegasus Turbo. We have to say that the Floatride mid-sole foam holds up very well over time, with top notch suppleness and comfort.